As part of its network leadership strategy, Ooredoo successfully completed the pre-launch phase for 4G mobile in Algeria, becoming the first operator in the country to provide the superfast Internet service. With the launch in Algeria, Ooredoo now offers 4G services in eight markets in the Middle East, North Africa and Southeast Asia, positioning the company as one of the leading 4G providers. 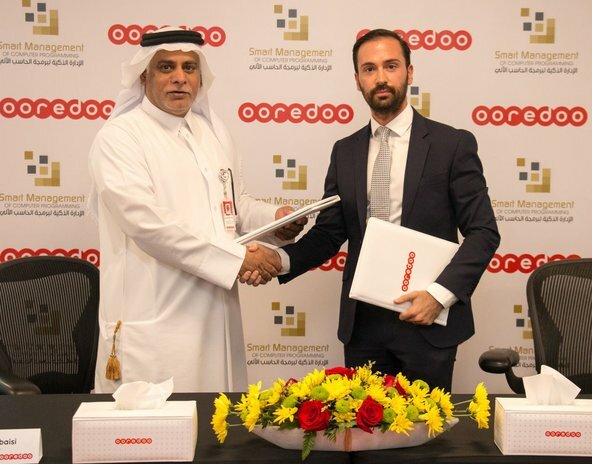 This significant network investment reflects Ooredoo’s commitment to deliver a better data experience for its customers across its global footprint. The launch was conducted in Tlemcen in north-western Algeria, which is one of three provinces (along with Tizi Ouzou and Bechar) that will be first to have access to 4G mobile services. Ooredoo Algeria has plans in place to roll-out 4G across all 48 provinces in the coming months. During the launch event in Tlemcen, Ooredoo Algeria showcased its range of new 4G handsets and laptops, as well as innovative services such as app downloads. Ooredoo Algeria has successfully conducted a trial phase to demonstrate the speed and capacity of 4G services, using a preliminary licence from the Algeria Regulatory Authority for Post and Telecommunications. It will now move forward with the full commercial launch. During the trial process, which was conducted with Nokia and in presence of representatives from the Regulatory Authority, Ooredoo Algeria realised speeds of up to 75 Mbps on its 4G network – the fastest yet recorded in Algeria. With the commercial launch, customers will be able to access 4G speeds for the same price as Ooredoo Algeria’s 3G services. Customers will benefit from faster streaming and upload speeds, entertainment services delivered via their mobile devices, and crystal clear calls. The network upgrade will also support Ooredoo Algeria’s efforts to offer e-commerce, m- payments, m-banking, m-health, and m-education services. Ooredoo’s successful launch in Algeria follows the launch of 4G services in Myanmar in May 2016, where Ooredoo was again the first operator in the country to offer 4G. Coverage started in Yangon, Mandalay and Naypyitaw, and is continuing to roll-out across the country. Ooredoo Tunisia successfully launched 4G services in April 2016, along with innovative bundles for customers that include data allowance, free call minutes, video-on-demand services with Ooredoo TV and online storage services. Ooredoo’s other 4G markets include Qatar, Kuwait, Oman, Maldives and Indonesia, and the company continues to deliver on-going network upgrades to ensure its customers benefit from faster Internet services across the Ooredoo footprint.